Ruffled scarves are a fun way to kick your knitting up a notch -- they can be whatever size you like, and look fantastic with just about any kind of yarn. 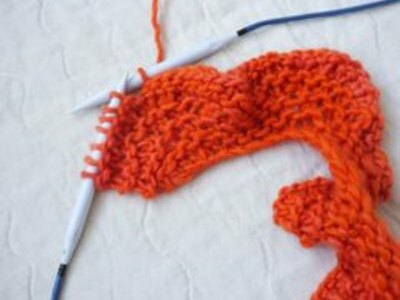 If you're comfortable with your basic knit stitch, but are looking for a way to make something a little more exciting than a simple rectangle, a ruffled scarf is a quick way to learn new techniques while not straying too far from your comfort zone. This scarf is worked on bulky yarn over very large needles, so while there are a lot of stitches in a row, it grows very quickly. Please see the last slide for an itemized list of tools and materials. Knit 4, place marker. 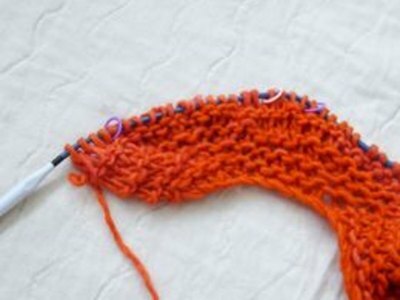 Knit into the front and back of the next stitch as follows: knit the stitch, but don't slide it off the needle. 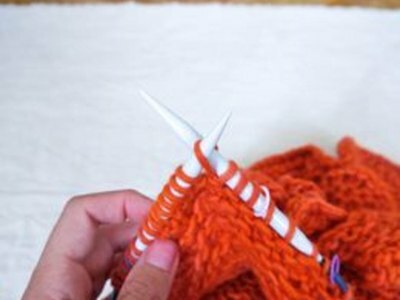 Insert your right-hand needle into the back of that stitch, behind the left-hand needle, and knit it again. 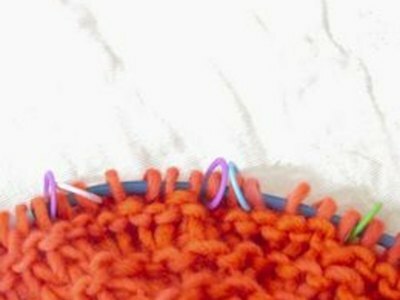 Pull the stitch off the left-hand needle -- you will have increased a stitch. Place marker. 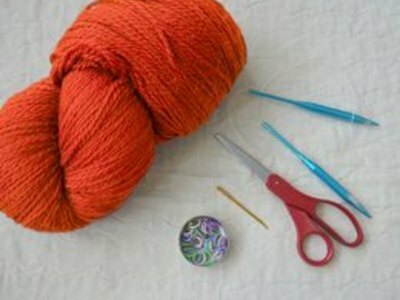 Knit 4, place marker, knit into the front and back of the next stitch, place marker, and repeat from to the end of your needle. Knit to marker, slip marker from left to right needle, knit into the front and back of every stitch until you reach the next marker, slip marker, and repeat from to the end of your needle. Weave in ends using yarn needle. 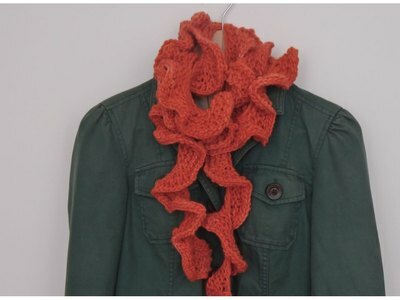 You could make this scarf using any size needles and any kind of yarn you like. Simply cast on more stitches if you're using smaller needles, and work Step 3 as many more times as you like until your scarf is as thick as you want it.